I’ve been writing a lot lately about Nokia Home WiFi beamer but not so much about what drives that product. Rajeev Suri showed the product at the MWC2018 Press&Analyst event and revealed that Nokia is planning to acquire US-based software company that produced the software for the WiFi beamer. The company’s name is Unium and it is mostly dealing with finding a solution for complex wireless networking problems, mostly seen at home and in mission-critical applications. Unium’s software is offering intelligent mesh, bent steering, fast roaming and choice of WI-Fi or Ethernet backhaul. The deal will be closed in Q1 2018, and the price is still not announced. Software is already incorporated in Nokia Home Wi-Fi product and more info about it can be find at its official page HERE. 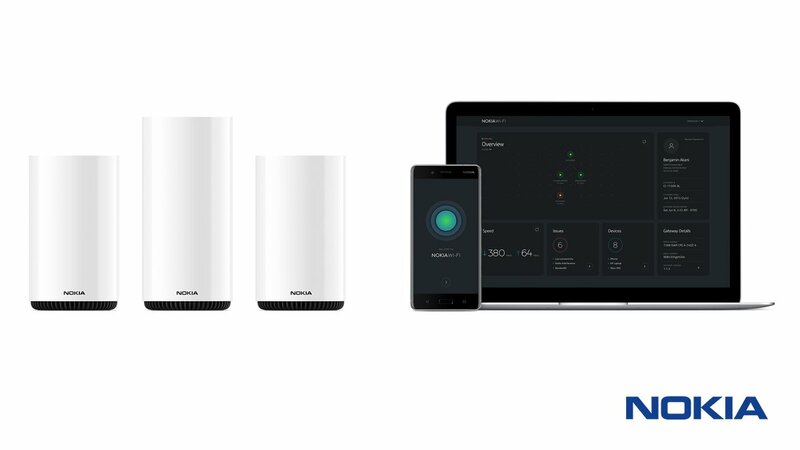 Nokia will be offering next to the product a mobile phone app that will be used to control the WI-Fi network, and also there will be web portal where you’ll be able to see a holistic view of your network and devices connected to it. What is more interesting is that Nokia finally started using latest Nokia phones to advertise products where phones are needed so we can see a Nokia 8 being used with Nokia Wi-Fi beamer. Read more about the whole deal at Press release HERE and HERE.